In recent months we have been working hard to put together our first brochure. Make sure to click on the link below and check it out! Alternatively, get in touch with us at info@wellsafesolutions.com if you would like to be sent a hard copy! Well-Safe Solutions is today delighted to announce the appointment of a key position within the Executive Team. Matt Jenkins is to become Chief Operating Officer of Aberdeen-based Well-Safe Solutions with immediate effect with a promotion from his current position as Director of Well Abandonment within the organisation. Joining Well-Safe in late 2017 with 15 years of experience at ConocoPhillips, Matt led UK P&A Engineering and Strategy where he was responsible for the decommissioning of over 50 wells since 2014. 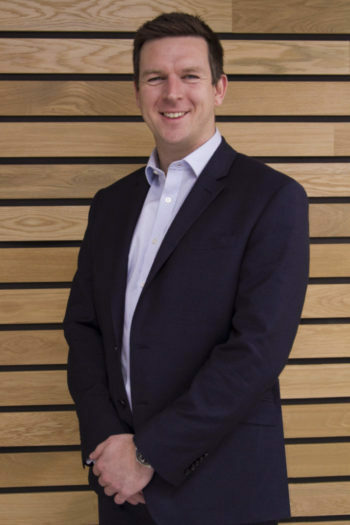 Matt said of his promotion: “I’m very proud to have been asked to step up into this incredibly important role within the organisation and I am excited at the opportunities this will bring me on a personal and professional level. The company now has more than 35 personnel working for a string of clients and aims to employ more than 400 people within the next three years. 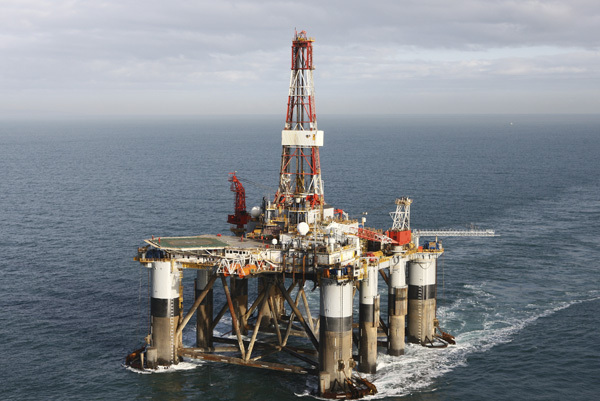 Well-Safe offers a fully-integrated ‘Tier 1’ well abandonment service, providing the complete P&A project delivery from strategy definition and development through to the execution of operations utilising the firm’s own bespoke marine and land-based assets. 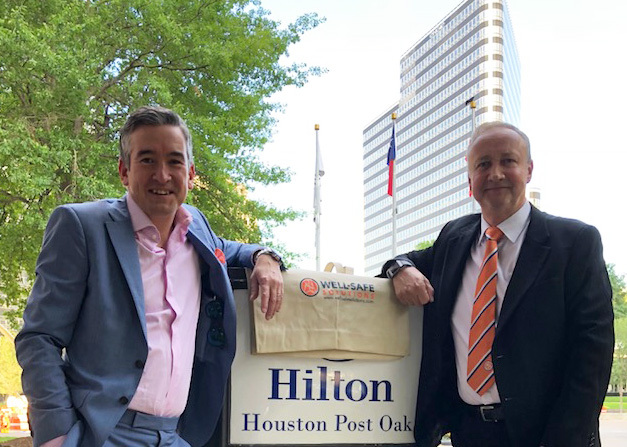 Well-Safe has launched five P&A clubs that have sparked considerable interest in the business and is in final negotiations on acquiring key assets. The team pledges to retain and share lessons learned and operate in collaboration with clients to achieve significant cost reductions. The capital released can then be utilised by operators to invest further in the North Sea basin and help execute Maximise Economic Recovery (MER), a key plank of the Oil & Gas Authority’s strategy. Well-Safe Solutions, this month have introduced three new graduates to their fast-growing team. The Aberdeen-based well abandonment specialist in collaboration with Scottish Enterprise and ScotGrad will bring on three new positions in Finance, Well Engineering and QHSE. The Aberdeen-based company has amassed the largest concentration of decommissioning expertise in the oil and gas industry. Boasting in excess of 400 wells worth of experience among its workforce, Well-Safe believe it is the perfect time to introduce graduates into the rapidly growing business. The addition of the three graduate positions follows the promising first year Well-Safe has had in business with the development of their five P&A clubs, aiming to reduce the cost of well plug and abandonment operations, following significant interest in this innovative approach by operators in the North Sea. “Hard to believe its been a year in business already, we have achieved much more than we originally planned and had excellent support and collaboration with the industry. A lot of hard work, but equally lots of fun too. We’ve built a fantastic team and I am very impressed with their dedication. Now with 35 people and over 400 wells of expertise under our belt, this positions us well for our second year in business. We very much look forward to continuing the growth of the company, where we are working hard on some very exciting opportunities, which we will be delighted to share with you in due course!” says Mark Patterson, Executive Director. Well-Safe are proud to support the fantastic Pound for Piper trust with this stunning limited edition print arriving at our headquarters! The trust does great work to maintain the Piper Alpha memorial gardens at Hazelhead Park in Aberdeen and continues the legacy of all those involved in the tragedy. Dropped off by our very own Steve Rae who is also chairman of the trust, make sure to look out for it hanging in our Well-Safe Aberdeen Office! 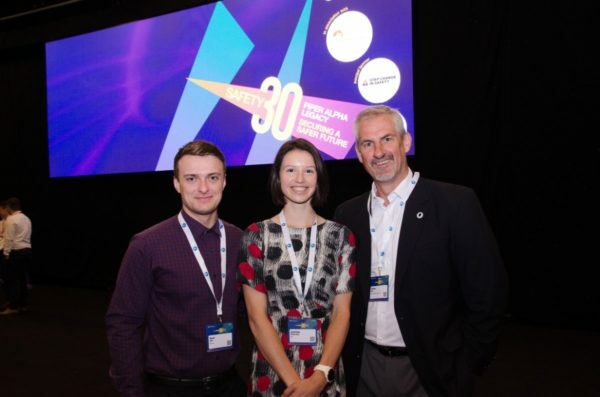 The Safety 30 Piper Alpha Legacy conference took place on the 5th-6th of June at the AECC. 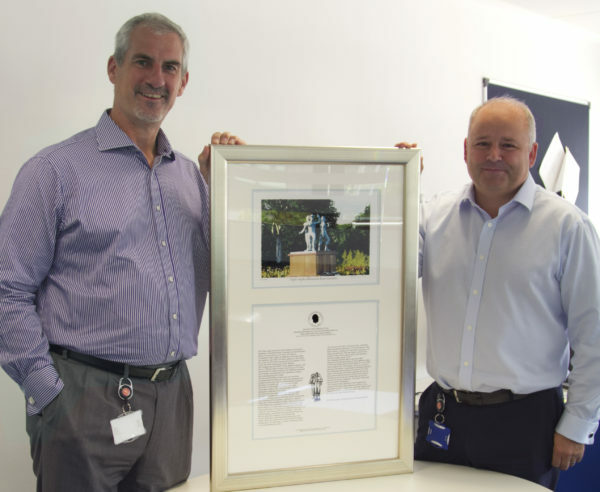 Marking the thirty-year anniversary since the Piper Alpha disaster, the event aimed to highlight lessons learned and the legacy that Piper had in shaping current operations within the industry, largely in health and safety. 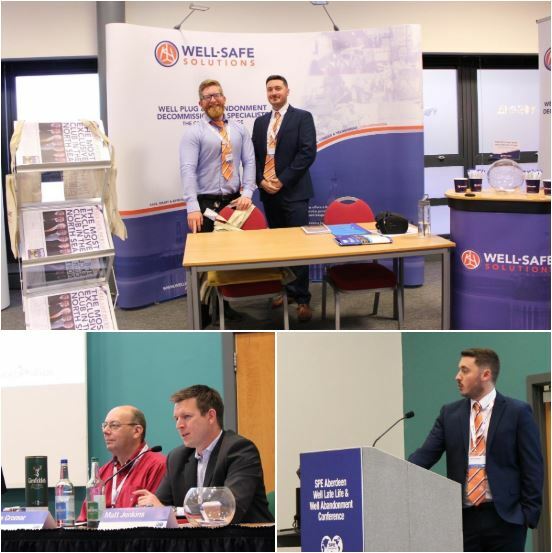 The Well-Safe Team had a fantastic time down at the SPE Aberdeen Well Late Life & Well Abandonment Conference. With our very own Ben Foreman speaking about knowledge development within industry P&A practises and Matt Jenkins chairing the late morning session on the second day. The team enjoyed many of the sessions including the very interesting Techbyte sessions showcasing some great technology, we are always excited to hear about new developments within this sector as Well-Safe’s model is a real enabler for these type of applications. 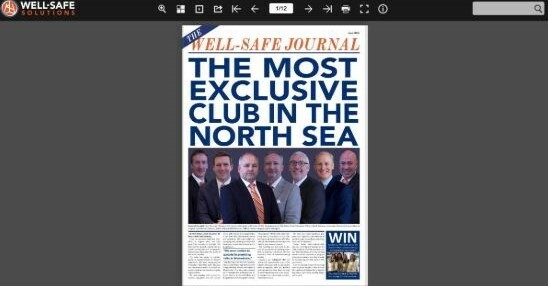 Our first edition of The Well-Safe Journal! We have been working hard to put together our first ever issue of ‘The Well-Safe Journal’, click below to have a read of the digital version! 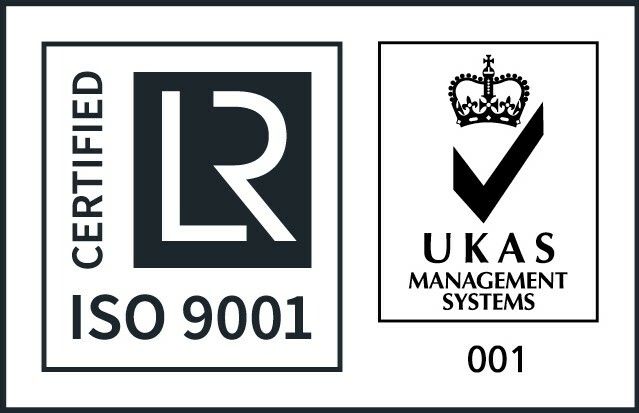 Alternatively, get in touch with us at info@wellsafesolutions.com if you would like to be sent a hard copy! Don’t forget to check out page 5 for your chance to win a Mini i-Pad! Steve Rae, Operations Manager at Well-Safe Solutions and a Piper Alpha survivor, took a large part in the conference including closing the event with his ‘call to arms’ talk, highlighting the need for greater development of “soft skills” like situational awareness, skills that were imperative to saving his life during the Piper Alpha tragedy. During the conference Steve took part in an open Q&A session with Joanna Reynolds, BP Geophysicist & Graduate of the Year 2017, and Sam Ash, Mechanical Technician at Nexen & Apprentice of the Year 2017. This session reflected on the conference as a whole and had the idea to ‘pass the baton’ from one generation to the next. The idea behind this was to highlight how the new generation feel coming into the industry and their observations, as well as how the current generation can impart their wisdom and make changes for a safer working environment. “…I want to leave you with a call to arms. I ask that you make a consensus choice to return to your places of work and do one thing that will make a difference to the integrity of your plant, simplify one process, or, intervene in an unsafe behaviour or act. Ideally do all three. 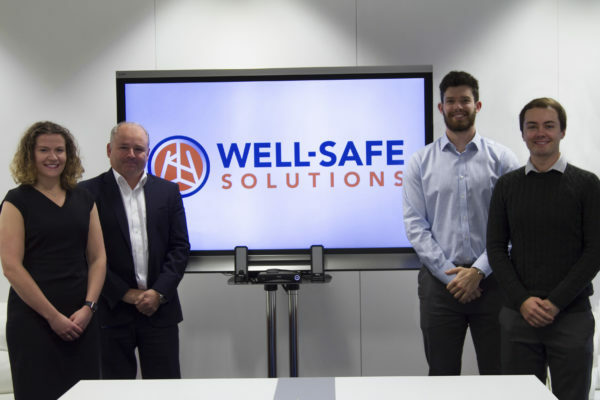 Well-Safe Solutions, a tier one contractor, has now set up five different P&A Clubs to reduce the cost of well plug and abandonment, following significant interest in this innovative approach by operators in the North Sea. The positive reception from North Sea operators to this approach convinced Well-Safe to set up five clubs focusing on the following onshore wells using a land rig and offshore wells using jack-ups, semi-submersibles, well intervention vessel (category 1 and 2 wells) and a deep water asset. 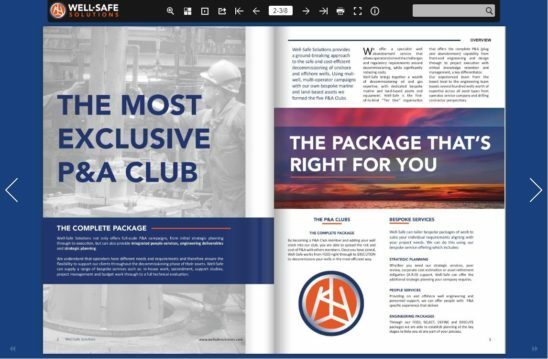 Having the 5 different clubs designed around the asset types gives Well-Safe the ability to deliver P&A operations on all well types. Phil Milton, Chief Executive of Well-Safe added: “Decommissioning is often seen as the end of the road but it’s just a part of the on-going lifecycle and by reducing liabilities and direct costs when shutting down uneconomic wells, there is more money to invest in exploiting other fields. 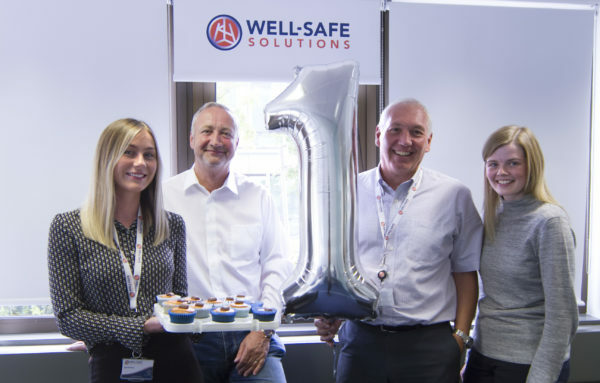 Well-Safe has already created 30 new jobs in its Aberdeen head-quarters and is currently recruiting for aditional personnel. They have secured their 40,000sq ft marine and logistic base in Dundee and have short listed a number of marine assets. They are currently working closely with a number of operators on their commercial model, exciting times lie ahead for Well-Safe.